Gasper Engineering, Inc. provides turnkey automation to the largest manufacturing operations in the world. We specialize in the layout, build, and integration of full assembly lines. With our operation in North Vernon, Indiana, we’re proud to be located in the heart of the Louisville-Indianapolis-Cincinnati triangle! Contact us today using the form below to start the conversation. Gasper Engineering, Inc. is capable of handling your custom automation industrial needs. 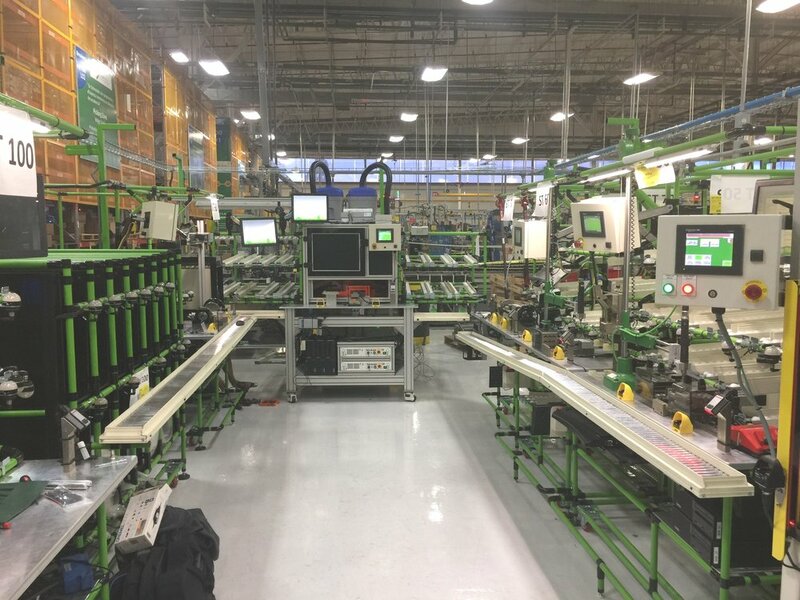 We will design and build a completely automated assembly line or simply add a single sensor to an existing machine. Our team has 20+ years experience of PLC programming and Operator Interface Integration, with a focus on Allen-Bradley, Modicon, OMRON, Siemens, Mitsubishi, Keyence, & Pro-Face. Gasper Engineering, Inc. was established in April, 1999 by Steve Gasper. Since then, we have steadily established great working relationships with our customers, as well as local systems integrators and machine builders.